Since this particular trip through Whitefish was in August, it was nice, sunny and warm. 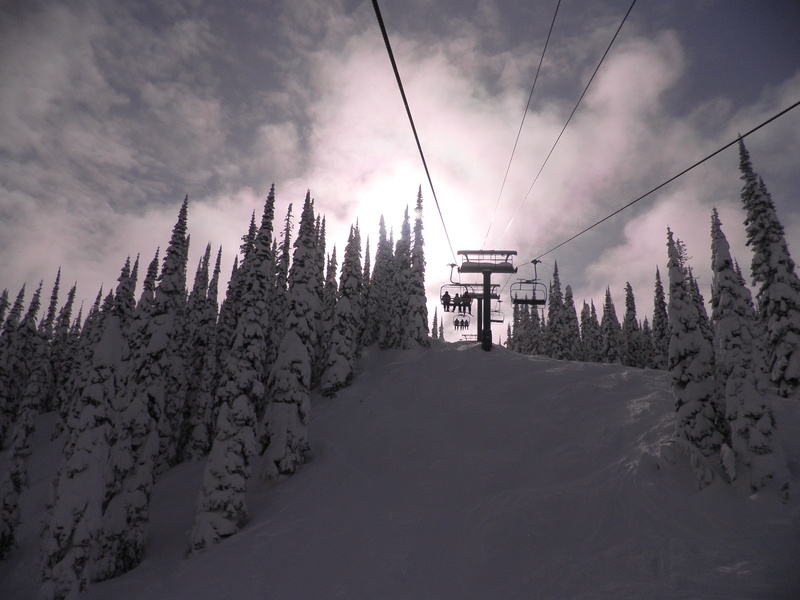 Whitefish is a beautiful little town, with beautiful scenery. Whitefish is a very tourist-friendly town – and not just because it’s a world-renowned ski destination, but it also has so much to do in the summer. Even the ski hill (Whitefish Mountain Resort – also known as Big Mountain) offers a full season of summer activities, including zip-lining, hiking, and mountain biking. 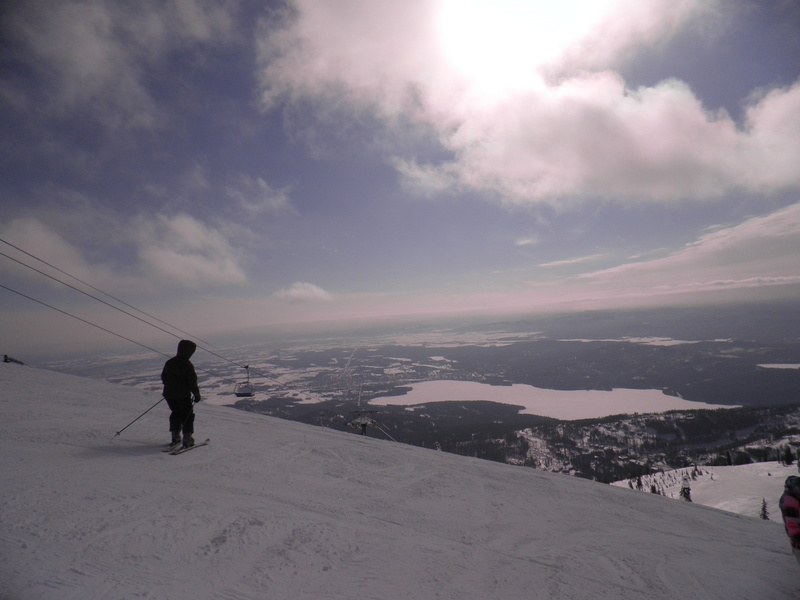 You can also take the ski-lift up to the summit to enjoy the summer view! The town itself is worth walking around (and is “pedestrian-friendly”), with it’s quirky shops with art galleries (generally local artists) and jewellery (mostly, if not all, hand crafted) stores. 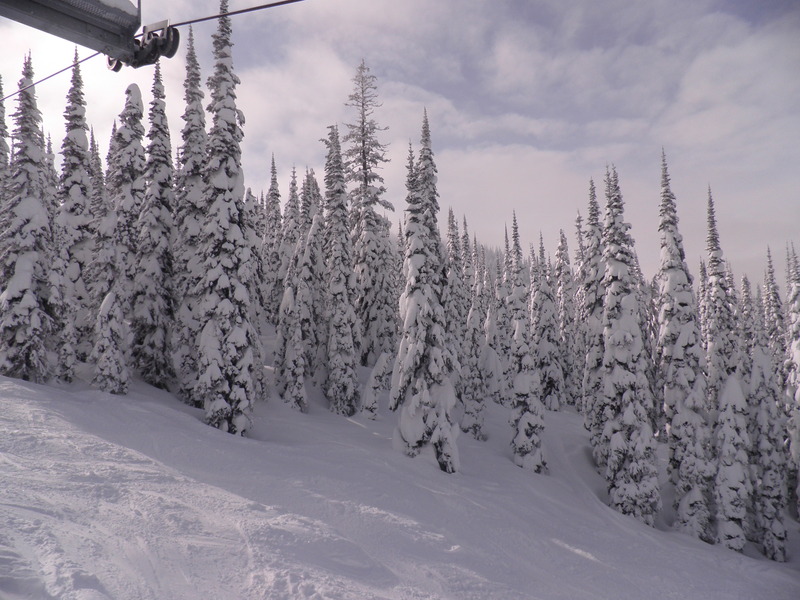 So, summer in Whitefish is great, BUT it really is best known for it’s winter activities. Not only winter fishing, sleigh riding, the local dog-sledding activities and the Whitefish Winter Carnival (pay special attention – we’ve missed it this year, but it’s the 54th (?) annual, so you can plan to make it next year! ), but, also! 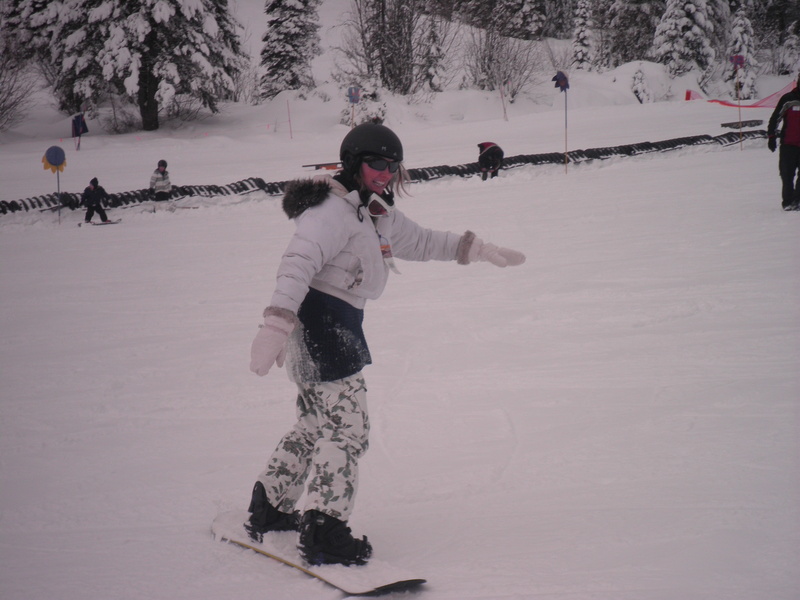 cross country and downhill skiing and snowboarding at the Whitefish Mountain Resort! Not to mention that the Chair lift is scary enough, your first couple of times …how to disembark, how to not fall disembarking …how to not fall off on the way up the hill!! 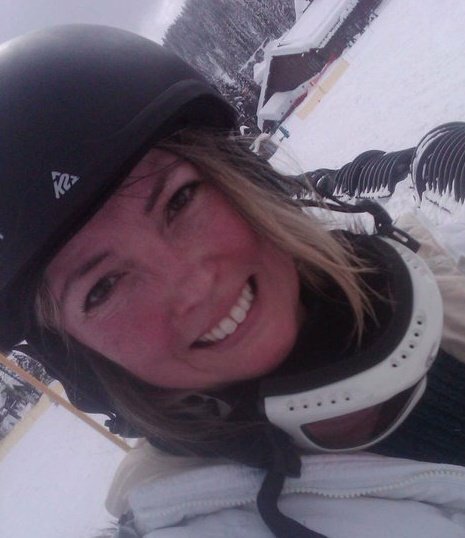 So, there I am, safely off the Lift, and staring straight down the hill, straight at the Lodge, waaaaaaaaaaaay down below…I’m not sure how long it took to get down the mountain. I crawled down the first 50 feet, and then skied from one side to the other side of the mountain, zigzagging the whole way down, and when I’d get to the tree line, I’d lay down on the snow, and flip over… it was a long process. I barely could walk the day after my first lesson. I mean – not at all. I did manage to get in my second lesson. Barely. The second day was better. It wasn’t good. I am actually terrible at it. Terrible. Peter, and the friends with us, had a wonderful time skiing. Best snow ever (today’s snow report has 85 inches (216 cms) of snow at the base) – they went through the snow ghosts, they went down the north side, they did jumps and moguls. They passed me on the bunny hill many, many times. Call me when you are there… I’ll be happy to hang with you at the Bierstube. 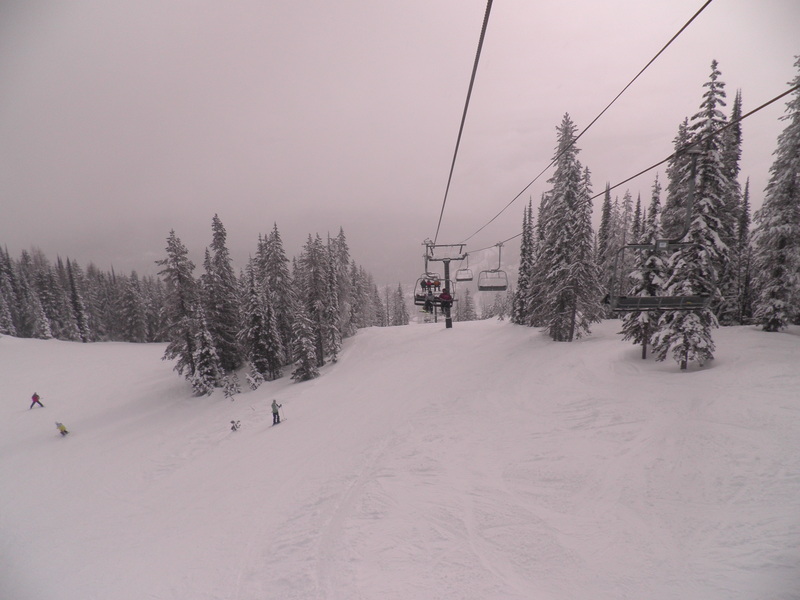 I’m afraid of skies… and even more afraid of getting of the ski lift. But there isn’t a beer around that frightens me….